M-F 6:00 a.m. 6:00 p.m. 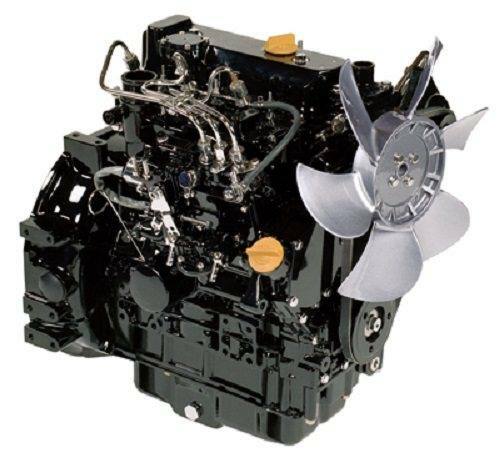 Sat 6:00 a.m. 2:00 p.m.
Clean Emissions: Building off the proven TNE design, Yanmar has achieved superior exhaust emissions by improving the combustion chamber and fuel injection equipment design. Engines are compliant with 2008 EPA Tier 3 and EU stage III A exhaust emissions regulations. Fuel Delivery and Economy: A newly designed, in-line ML type fuel injector pump is utilized to assure more precise fuel delivery and control. The result is reduced emissions, improved performance over a wide range of applications and good fuel economy which assures that Yanmar’s reputation for superior starting characteristics continues. Noise Level Reduction: Yanmar’s original CAE techniques have optimized the stiffness, minimized transformation, and reduced radiant noise in the cylinder block. Gear noise reduction is achieved through an improved gear tooth profile resulting in less mechanical noise. Reliable and Durable: The TNV engines now proudly take up the running as Yanmar’s premium small industrial diesel. They offer even more enhanced durability due to better block cooling, a stiffer crank and pistons, finer tolerance in the journal, and more. CAE analysis has brought lower vibrations and higher strength to the mounting structure for even better reliability in heavy-duty jobs.